Weather and seasons are exciting topics for your kids to learn about. 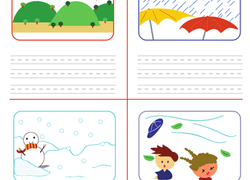 With our year two weather and seasons worksheets, kids will learn how to identify various elements such as rain, snow, wind, and more. Then they will notice these elements with their own eyes by looking out the window or going for a walk outside. Your kids will start to recognise which types of weather are commonly associated with which seasons and what to expect as the seasons change. Depending on the season, kids may even recognise various forms of plant and animal life to explore with our Year two life science worksheets. Track the weather with a homemade weather spinner! 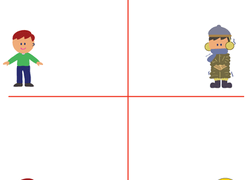 Help your little weather watcher colour in the blanks on the board with fog, snow, wind, rain, sun and more.